Judge Dana Sabraw of the United States District Court for the Southern District of California granted the nationwide preliminary injunction in a class action brought by the American Civil Liberties Union on behalf of parents separated from their children under Trump’s “zero tolerance” policy. In addition to ordering that all families be reunited in 30 days, he said children under 5 must be returned to their parents in 14 days, and all parents must be allowed to speak to their children by phone within 10 days. Sabraw said parents can only be detained or deported without their children if the minors are in danger or their parents have consented. The Justice Department had urged the judge not to issue the injunction, arguing that the executive order Trump issued last week addressed the ACLU’s concerns, and the government just needed time to reunite families. 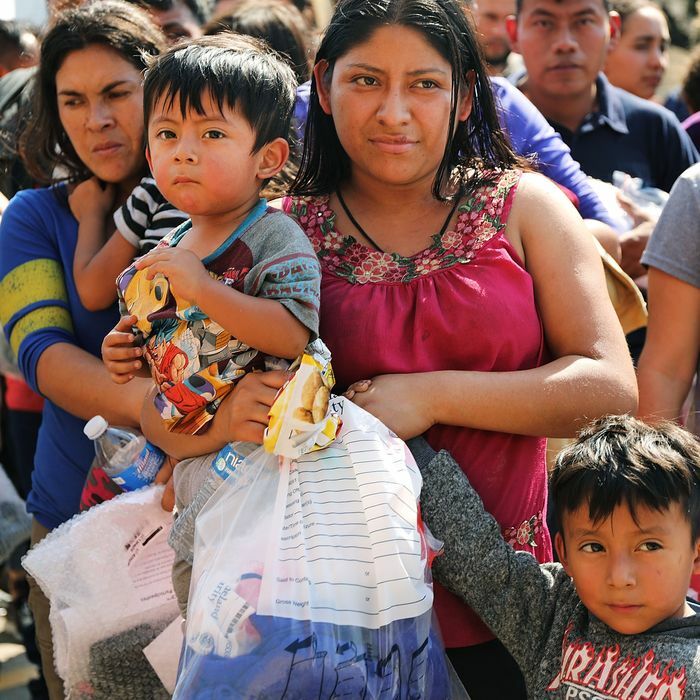 The executive order said families would be detained together as the parents await prosecution, but on Monday the administration said it would temporarily stop handing over all migrant parents for prosecution due to lack of resources. Immigration attorneys say parents trying to find their children have been met with bureaucratic chaos, and at a hearing last week a Justice Department attorney admitted that there is no formal procedure for reuniting families, and that sometimes the Office of Refugee Resettlement, which is responsible for the children, doesn’t know that their parent has been released. Lee Gelernt, the lead lawyer in the case for the ACLU, praised the judge’s decision. The Trump administration has yet to respond, but it could appeal the decision to the U.S. Court of Appeals for the Ninth Circuit. The ruling came hours after 17 states filed a federal lawsuit over Trump’s family separation policy, alleging that the administration has violated the constitutional rights of the separated parents and children, and was motivated by “animus” toward Latinos. The government has yet to comment on that suit as well.